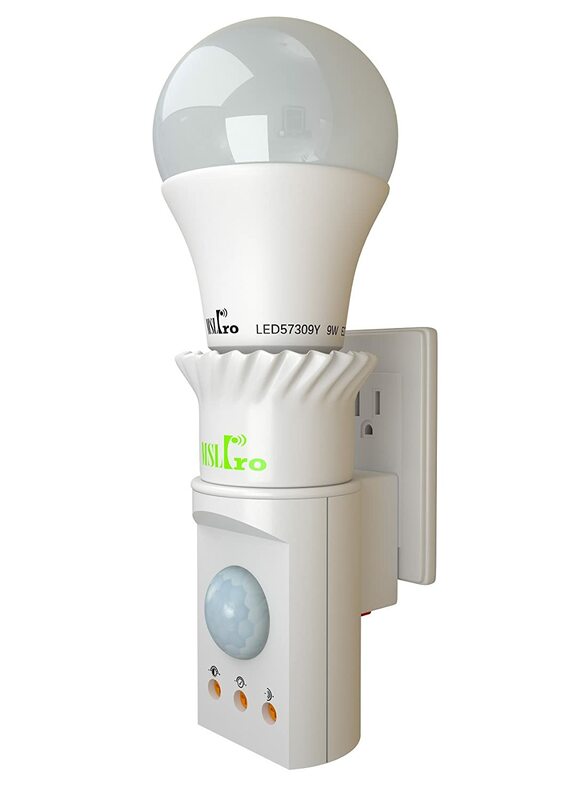 This is my review for the MSLPro Motion Sensing Socket Plug, which is basically a night light which pumps out a bright white light for a predetermined time when it senses motion. Sadly the execution of this otherwise bright idea was somewhat underwhelming. First off, the product felt cheap and the LED bulb rattled as I screwed it into the base. It came with no directions to describe what each adjusting screw actually did, which was fine because the 3rd screw was so badly misaligned it could not be adjusted anyway, and the first screw just continually rotated so you had no idea where the minimum or maximum settings were. With these random settings in place I plugged it into the wall and it flashed on and off, I then danced around in order for it to sense my motion, which it failed to do. Unplugging and replugging helped it recognise my motion and then when it finally went off 20 minutes later with nobody anywhere near it, my movement would not make it come back on again. It also blocks access to the second plug socket so that you have to unplug your toaster and relocate it in the kitchen, making you walk an extra 7 feet from the pantry in order to warm up your pop tarts. I have been able to adjust the screws so that it works about 50% of the time, but honestly this is just not worth the effort. I finally gave up and invested in a slightly older device which my parents used to call a light switch. A simple device which attaches to a wall and allows the user to control the on/off status of the bulb by operating a short lever. Overall, save your money, but in case you don't believe me and want to buy one, click here. Disclaimer - I received this item for no cost for the purpose of evaluation. The revieew above is my own opinion and has not been influenced in any way.